This week we feature two segments, the first on anti-pipeline resistance at the Gidimt’en Camp in Canada and second with JR from sub.Media about Mental Wellness and the recent Trouble episode on the subject. First up, we’ll hear from Delee Nikal, a Wet’suwet’en community member from the Gidimt’en clan and the Cas Yikh House, a First Nation in so-called British Columbia, Canada. 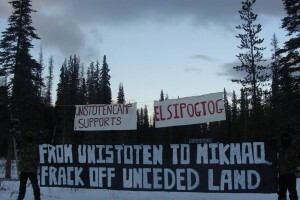 In 2009, Wet’suwet’en members of the Unist’ot’en clan (also of the Wet’suwet’en nation) began actively blocking pipeline workers and government officials from accessing their land without prior and fully informed consent of the nation on the land. 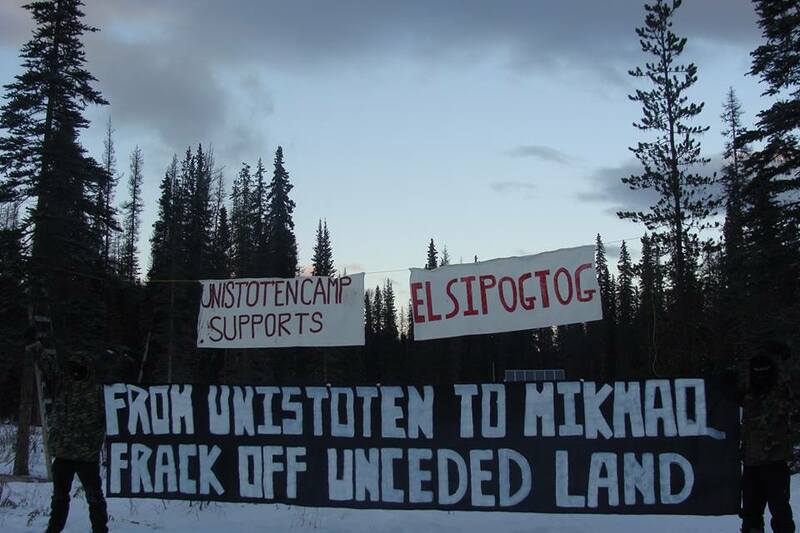 Over the years, Unist’ot’en has become home to various structures to not only block the passage of the pipeline but also to create opportunities for indigenous folks to heal themselves and promote their culture. 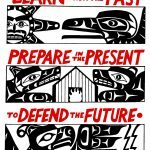 On December 14th, the Canadian Supreme Court pushed through an injunction on behalf of Coastal GasLink (owned by TransCanada) threatening the Wet’suwet’en community defending its land at Unist’ot’en with police invasion. 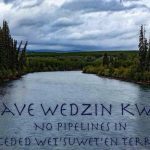 Following this, a public statement was made by the 5 hereditary chiefs of the Wet’suwet’en for all of the clans to block pipelines on their land. The Wet’suwet’en people have no treaties with the Canadian or provincial government, their land is unceded and sovereign territory within the bounds of what’s claimed by Canada. According to United Nations Declaration on the Rights of Indigenous Peoples, Article 10: “Indigenous Peoples shall not be forcibly removed from their lands or territories.” This includes RCMP, and/or military removal of Indigenous Peoples occupying their territory , say the land defenders. They also point out that the 1997 Supreme Court of Canada ruling in the Delgamuukw/Gisdaywa court case affirmed that Wet’suwet’en title, based on the traditional clan governance system, was never extinguished. In the days since this interview was recorded, an update to the injunction by the Canadian Supreme Court was released that updated names and places to be targeted by police action and the chiefs were informed by the Royal Canadian Mounted Police, or RCMP, a Canadian Federal police force that their people and their spaces would likely be attacked by the RCMP in coming days to move forward on the building of the Coastal GasLink pipeline. The Wet’suwet’en resistance to the pipeline is asking for native folks to come to help defend the land from further Canadian incursion, for allies and accomplices to engage in solidarity actions to pressure and embarrass the Canadian government and spread word of the resistance of Wet’suwet’en people on their sovereign lands in defense of the earth, air and water that all of us share on this planet. A great article breaking down a bunch of the history can be found at the Earth First! Newswire’s site from which we’ve poached some of the links and which has some great ideas of how to signal boost the situation, fundraising ideas and other ways to give and more! 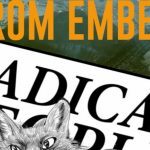 And secondly, we are going to present an interview with JR, who is a member of the subMedia collective about their recent Trouble episode called Mad Worlds. Trouble is a monthly mini documentary series from this collective which highlights different aspects of life and struggle on the far left. It’s meant to be watched in groups to promote discussion and counter the increasing isolating aspects of modern day existence. The episode “Mad Worlds, Redefining Sanity Through Struggle” explores the concept of sanity and how this is intrinsically linked to the white hetero settler colonialist patriarchy, and also gets into the psychiatry industrial complex and what it could mean to be on either side of that structure. This is the first time that me and Bursts have interviewed someone together, so let us know what you think of that! To see more from subMedia, including It’s The End Of The World And We Know It And I Feel Fine, also called The F*cking Show which features anarchist news analysis and reporting from the infamous character of the Stimulator, also they do a semi regular anarchist/antifascist hip hop workout show called Burning Cop Car (which we’ve drawn on multiple times for music to score The Final Straw), and of course Trouble, you can see all that at https://sub.media. 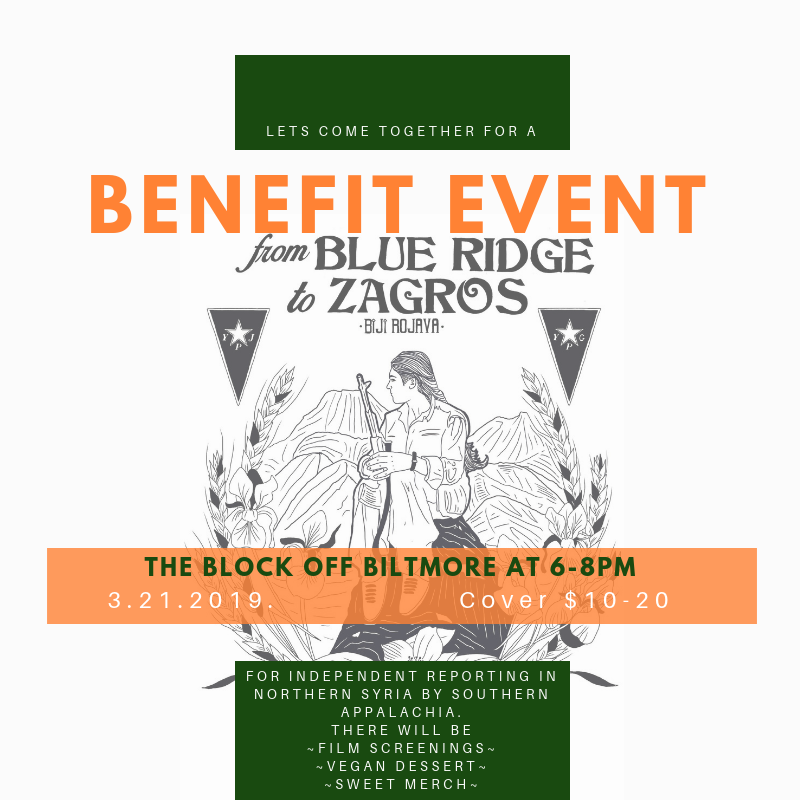 They are in the middle of a fundraising push right now, and you can see info about that at sub.media/donate to liberate your dollars.